We Know Process. So we built Procession. professionals with the skill and experience from our team of certified Sage developers and implementation consultants. 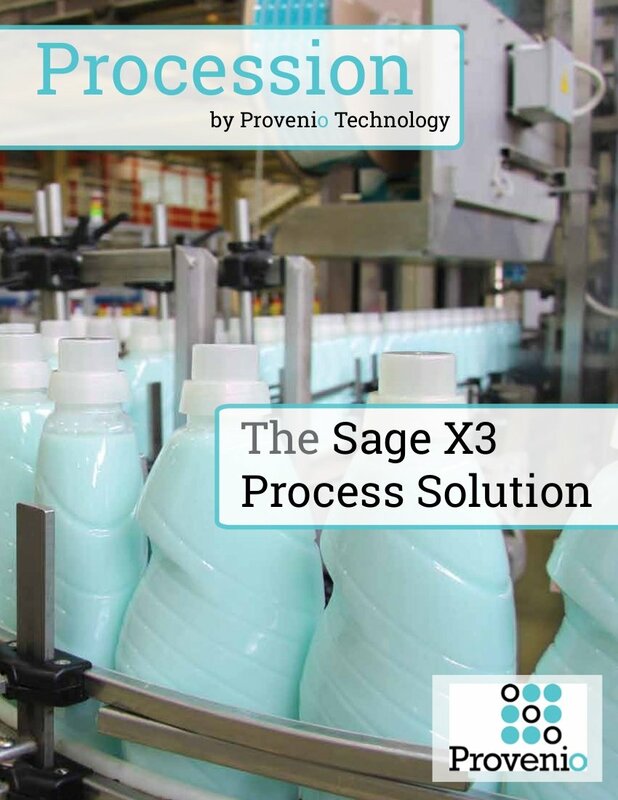 This solution was born from the need of actual specialty chemical professionals seeking a solution to fully leverage Sage X3 for all facets of their business. 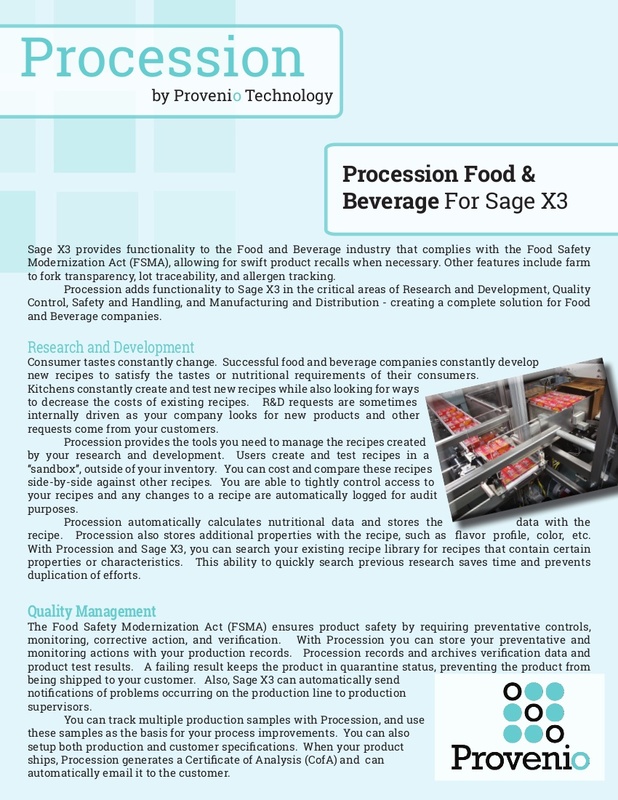 Volatility is standard operating procedure in the food and beverage business. Between uncooperative weather and fast-changing food trends, you can never take supply and demand for granted. You need systems that will help you change course quickly and make the most of limited resources. Providing a complete business management system, Procession and Sage ERP X3 delivers real-time information based on centralized data to help you see the big picture and make decisions quickly. Centralized information that spans the supply chain allows you to gauge the effects on decisions on every aspect of the business. Create Certificates of Analysis by lot and send them with the shipment or sample. To take advantage of the opportunities and manage risks, you need to use technology to help employees focus on innovation and quality instead of administrative burdens. 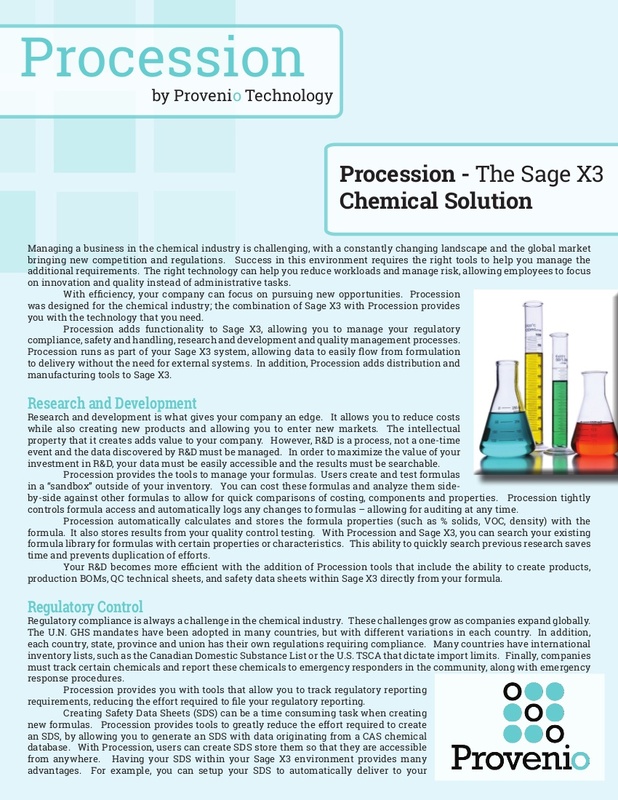 Procession and Sage X3 are built to automate the processes that support regulatory compliance, quality control and safety—specifically for the chemical industry. 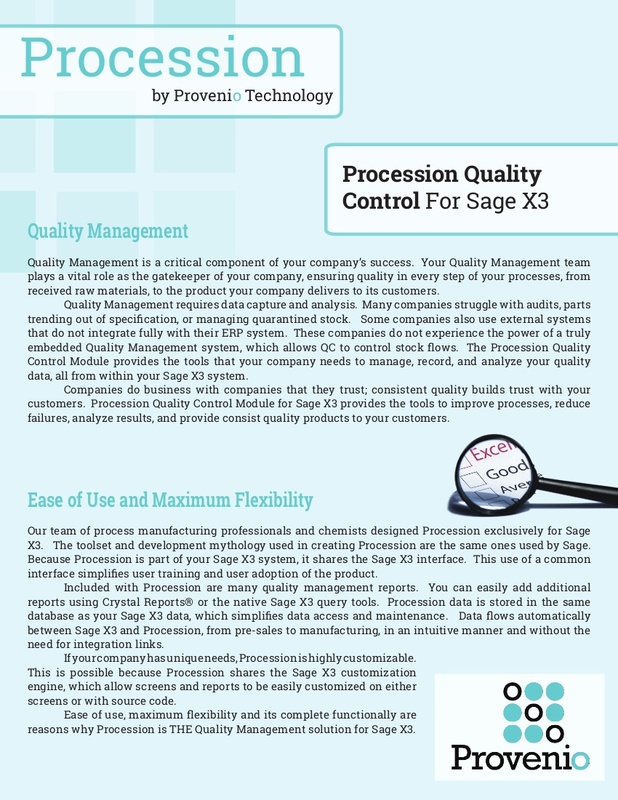 Procession and Sage X3 provide you with the tools to improve safety and handling management, reduce emergency response time, and ease the burden of regulation compliance and reporting. 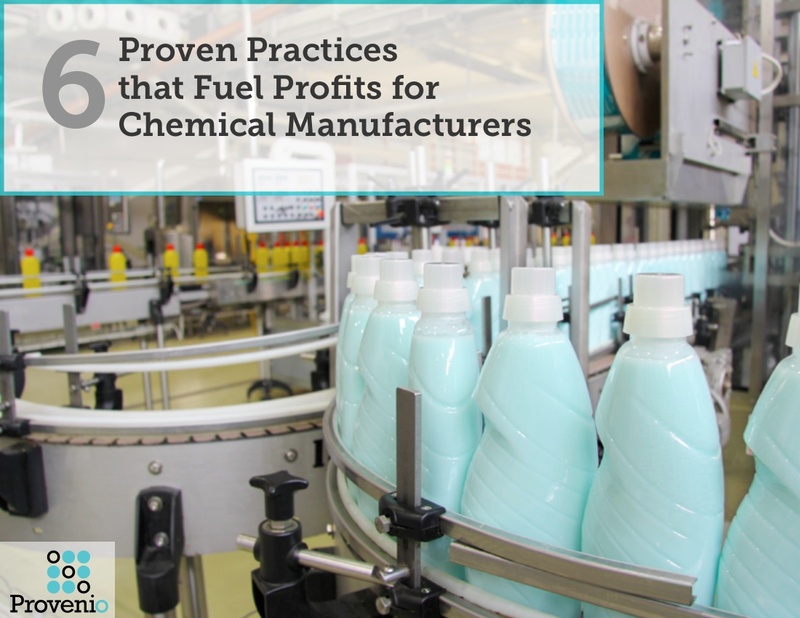 Chemical manufacturers in the United States and Canada have until June 1, 2015 to become GHS compliant. Chemical distributors have until December 31, 2015. 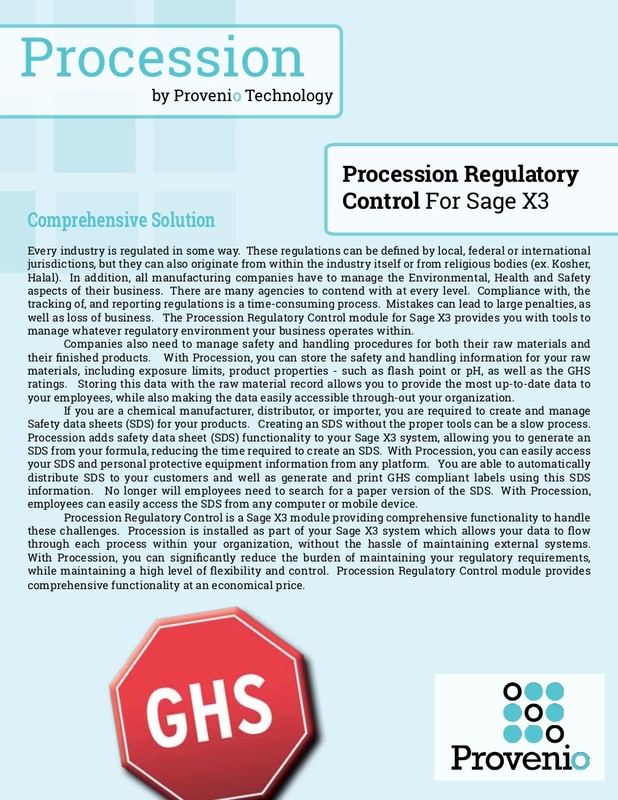 Sage X3 with Procession includes GHS compliant package and product labels that can be easily customized to your products and a SDS functionality that allows the conversion of existing MSDS to the SDS format. 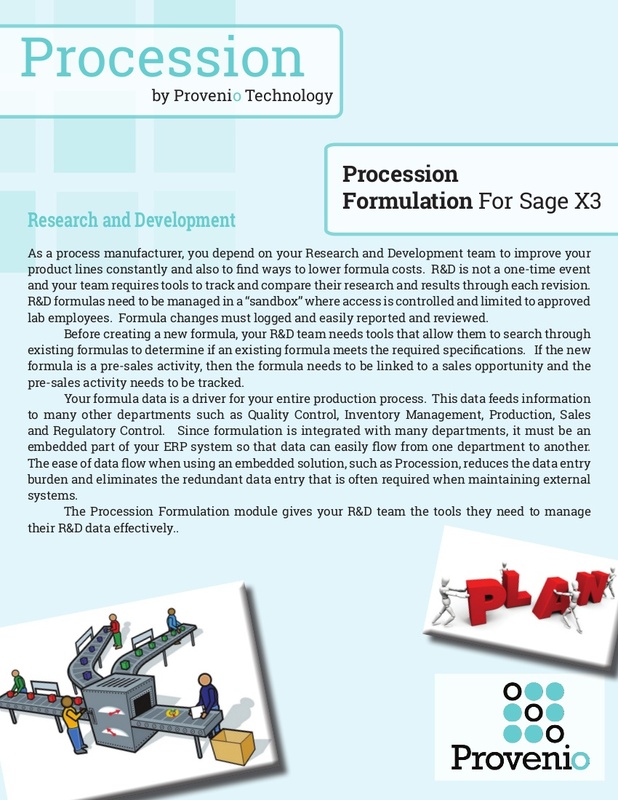 If you are already using Sage X3, you can be up and running with Procession in as little as a day. 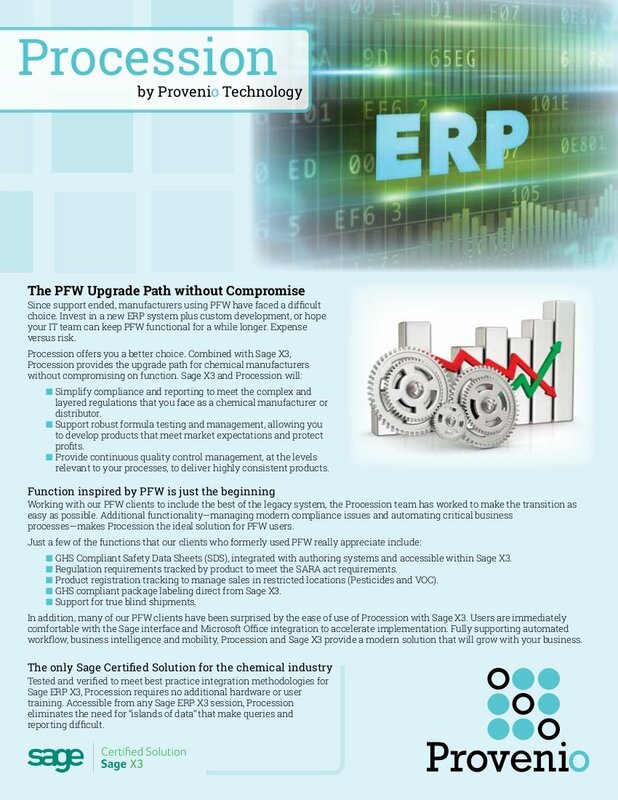 If you’re replacing a legacy ERP system with Sage X3, Procession will help you get the full value of your investment faster.